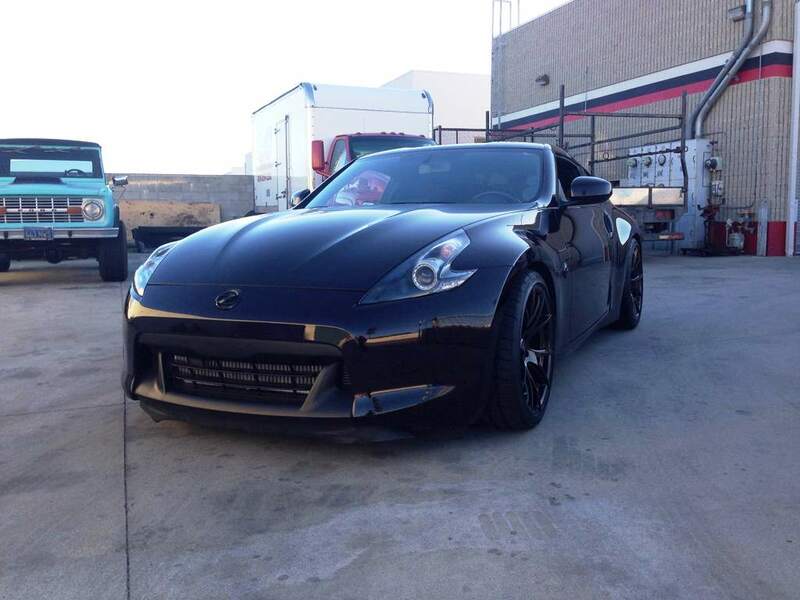 Norman’s Black Cherry Z may look docile but this Z packs a big punch. 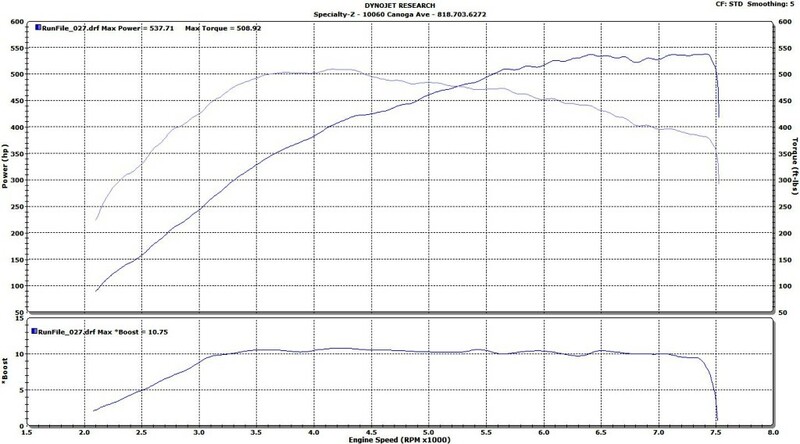 The Z had a Fast Intentions “Stage 1” Twin Turbo Kit installed; consisting of Garrett GT2860RS Turbos. The major difference between this one and the others we’ve done is the fueling. The fuel system was converted to a return style fuel system with larger fuel rails provided by CJ Motorsports. 1000cc fuel injectors, Z32TT fuel pressure regulator, and a single Walbro 485 fuel pump finish off the fueling bits. Beefed up for the sole purpose of running ethanol fuel and doing it on a stock engine. 6 psi of boost, low timing for 457 whp and 411 torque. 9 psi for 509 whp and 475 torque. 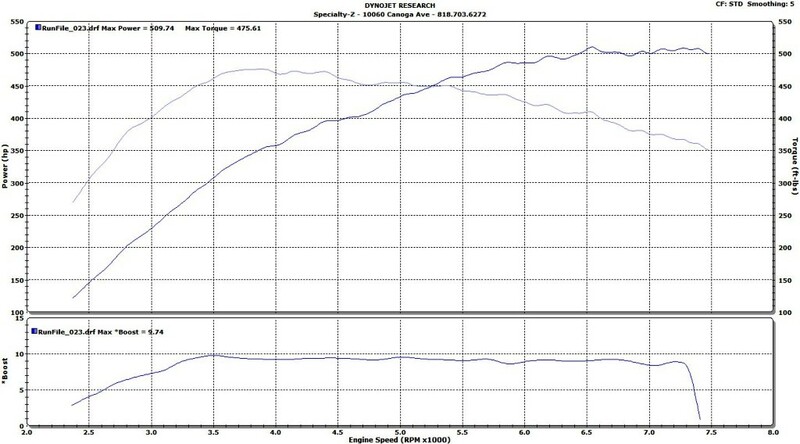 10 psi for 537 whp and 508 torque. 11 psi for 552 whp and 523 torque. 12 psi for 580 whp and 543 torque. And finally 13 psi for 632 whp and 589 torque. Makes 500 torque by 3400 RPMs! Most impressive response and drivability! All done on a stock engine.